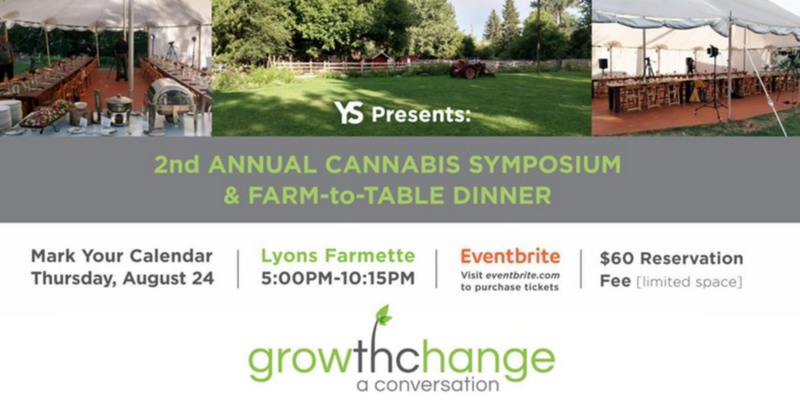 We hope that you join us for Yellow Scene’s 2nd Annual Cannabis Symposium farm-to-table dinner. This is a non-consumptive event where Yellow Scene is bringing all types of cannabis users together to have an Elevated Conversation to discuss the most critical questions about the industry today. It is our obligation as part of the media to start conversations, ones that you do not have every day. This is a conversation that you can’t have with your Uncle Herman at the dinner table. Be prepared to meet with medical patients, lawyers, doctors, government officials, home-growers, law professors, and many more – all of us who are involved and active in the community in different ways with different perspectives. This year, our focus is on the legalities and ramifications of the industry. We will be discussing bills that work and bills that do not. We will be talking about home grow regulations HB - 1220, child welfare, seed to sale business compliancy, DUI/DWAI regulations, the open containers law, and cannabis tourism consumption SB 17-184. Last year we talked about legitimizing the industry - changing the public’s perception from “reefer madness propaganda” by educating the public to try to take away the negative “stoner” stereo-types that continue to be thrown around. We had some amazing speakers! Of course, Yellow Scene’s publisher Shavonne Blades, Dr. Joe Cohen from Holos Health, William Porter head of marketing and communications for Starbuds Dispensary, Barbara Brohl from the Colorado Department of Revenue, and Truman Bradley from Southwest Alternative Care. Check out the video here: youtu.be/FQzGZGGGA-o Colorado has the opportunity to create regulations that are fair and that benefit everyone in order to help the rest of the country see why legalization of cannabis was the right thing to do. This is a trial and error period where we have the chance to speak up, get involved, and stand up for something that we all believe in. FAQs****What are my transportation/parking options for getting to and from the event? You will need to drive yourself or coordinate with someone else going to find a ride to the venue location. Please do not drive under the influence There is a parking lot located on site for you to park your vehicle. What can I bring into the event? **** This event is non-consumptive. Please do not bring any cannabis paraphernalia to this event or leave it in your car if you do. Thank you.